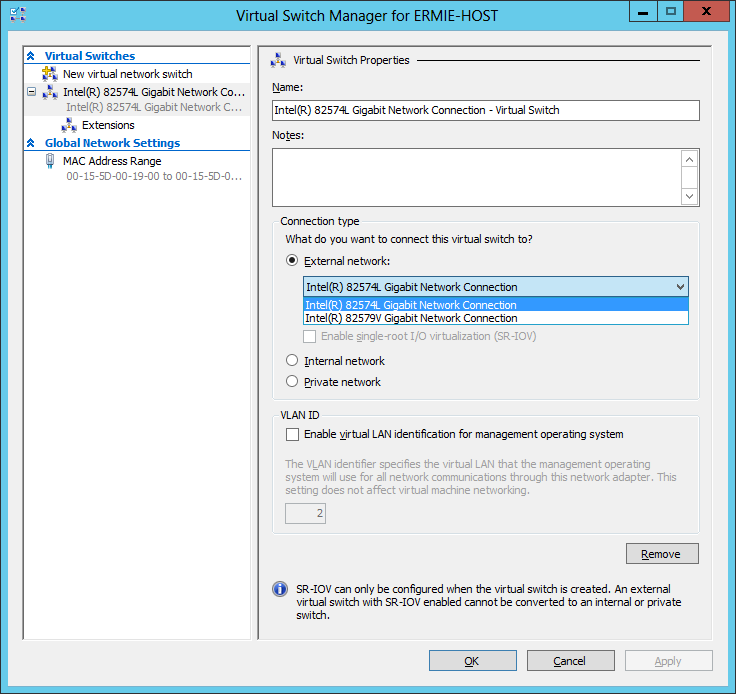 Hello everyone, I have finished installing the Operating System: Windows Server 2012 Datacenter. Installation went smoothly without issue, and it was fairly fast installing it from my USB drive to the SSD. The first thing I did was, of course, patches/updates. That completed again, without issue However, I did encounter an issue with the OS not discovering both of my LAN ports on my motherboard. First, I would like to vent a little about why motherboard makers don’t use the same model of LAN port when they include more than one on the motherboard. I have no clue why. To me, it would make logical sense that they would use the same model, but at least in the case of the ASUS P9X79 WS motherboard they do not. 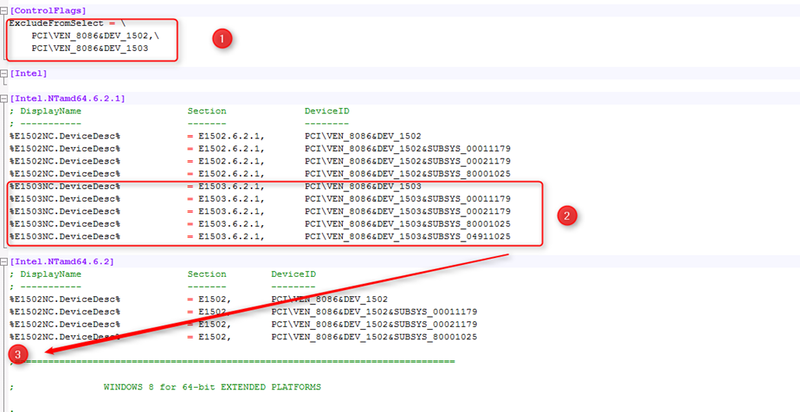 According to the ASUS webpage for this specific motherboard, it says (about the LAN ports) the following. Note that it refers to them as “server-class Gigabit LAN”. However, when you look at the specifications, it has an Intel® 82579V, 1 x Gigabit LAN Controller(s) and an Intel® 82574L, 1 x Gigabit LAN Controller(s). Based on my research prior to purchasing this specific part, I recall reading from other users (that setup home labs and server OS’s), that (according to Intel) “The 82579V was never intended for server platforms and was not validated with any Windows Server operating system.” That being said, I remember reading about how some other users were able to modify the 82579V driver’s .inf file in order to make it “discover-able” and thus the driver to be installed on a server OS. 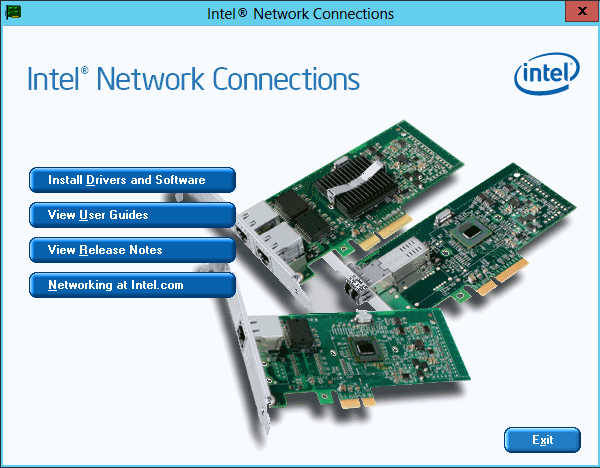 Through much searching of the inter-web, I came across a site that explained this in detail (found here: http://www.ivobeerens.nl/2012/08/08/enable-the-intel-82579v-nic-in-windows-server-2012/). 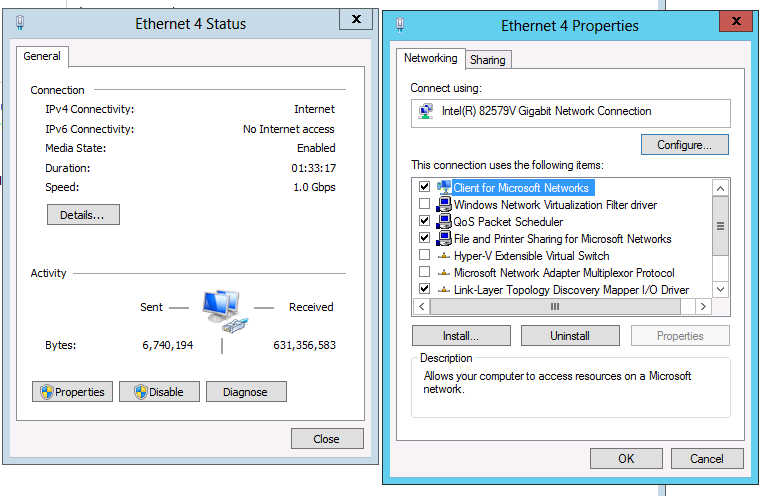 I followed these steps, and now have both the LAN ports present (one will be used for the Internet connection, and the other for the internal Hyper-V network). For the purpose of information preservation, and easy reference, I have copy/pasted the steps below. For the original source, please see the link provided above. 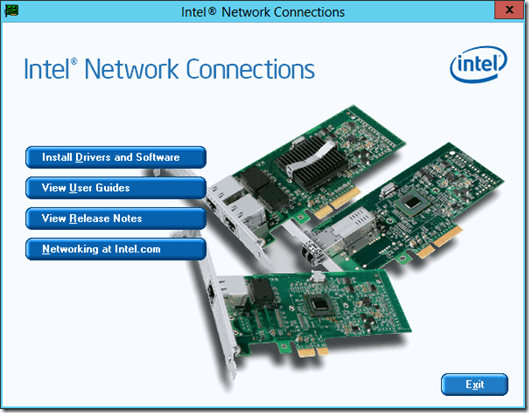 After installing Windows Server 2012 on my homebrew server, the onboard Intel 82579V Gigabit NIC on the Asus P9X79 motherboard was not working. On the Asus site I found Windows 8 Intel drivers for the motherboard. After installing the drivers the NIC was still not working. 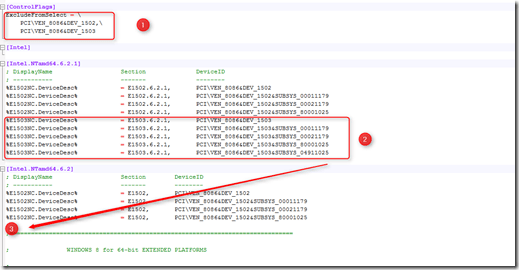 To get the Intel 82579V NIC working in Windows Server 2012, I used the this forum thread as reference for this blog post. 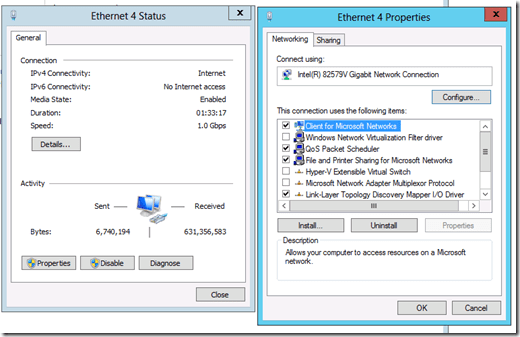 Now you can use the Intel 82579V Gigabit NIC in Windows Server 2012.